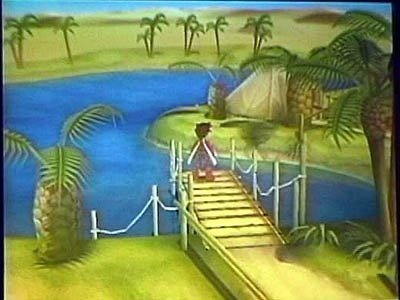 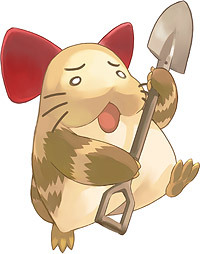 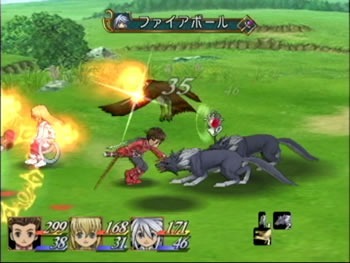 Developer Namco Tales Studio, Ltd. 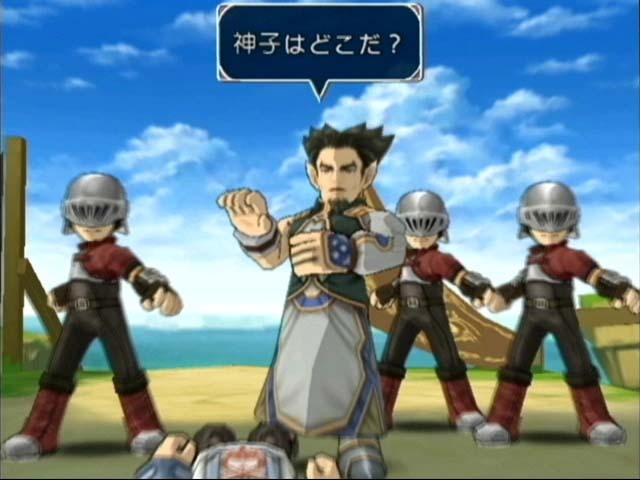 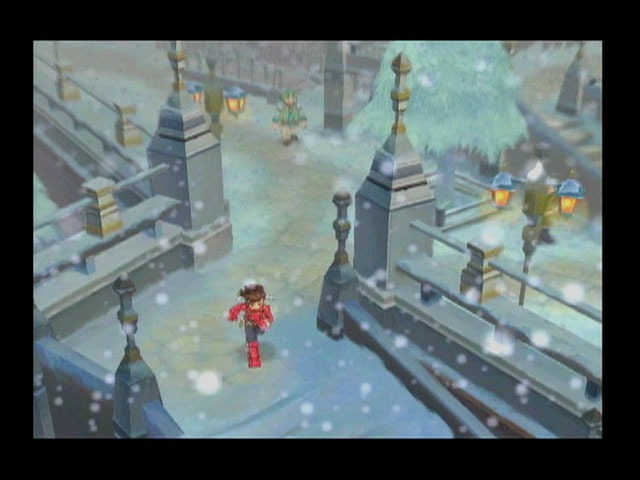 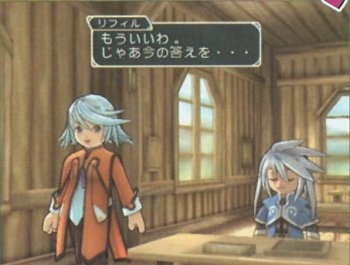 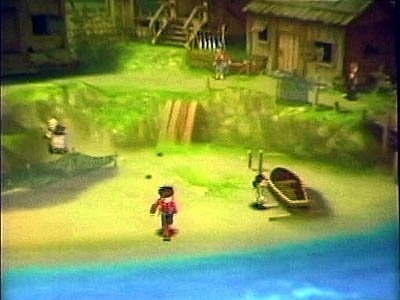 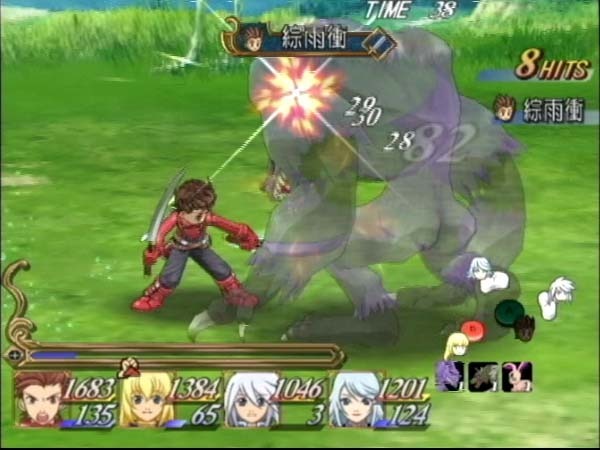 THIS IS NOT A TALES OF PHANTASIA REMAKE! 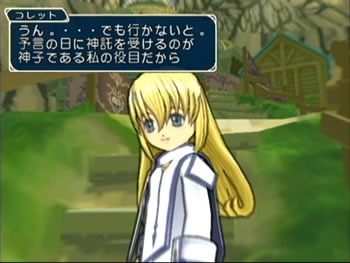 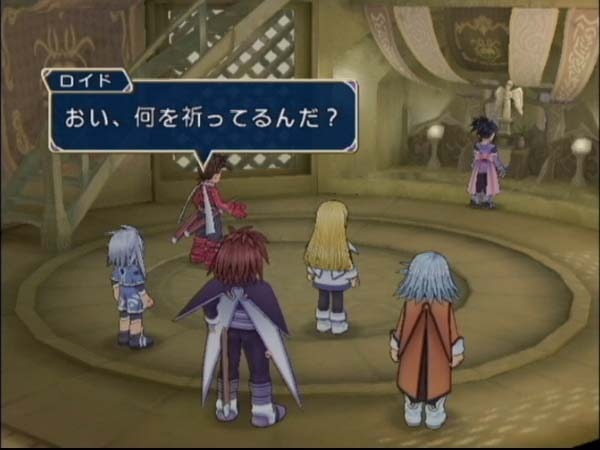 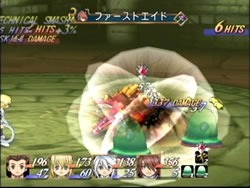 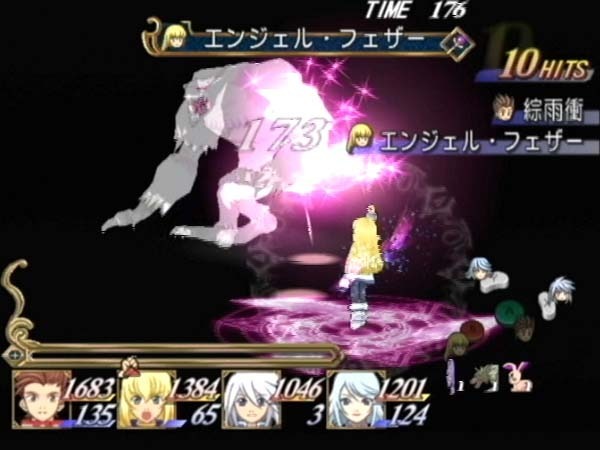 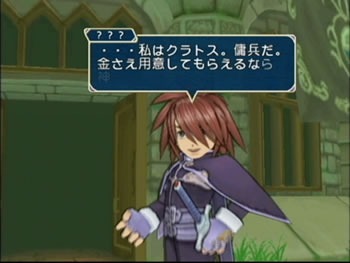 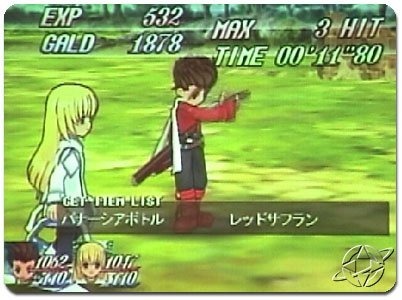 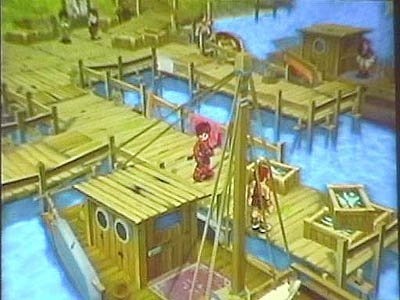 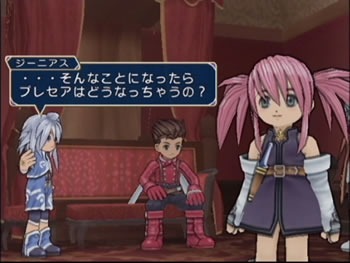 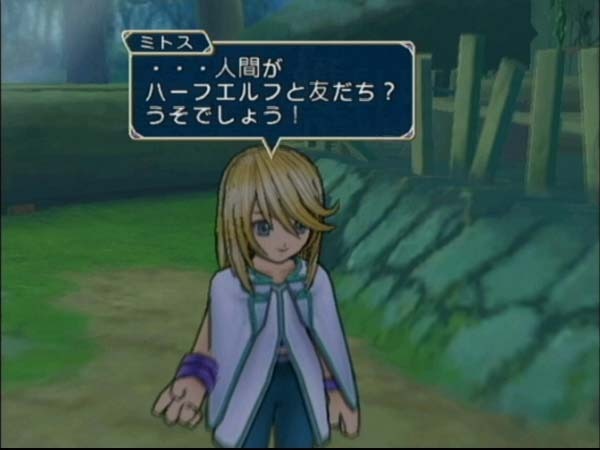 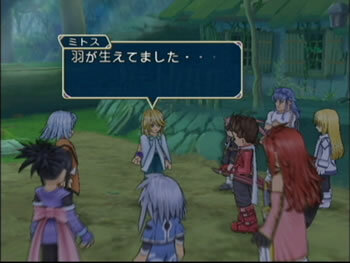 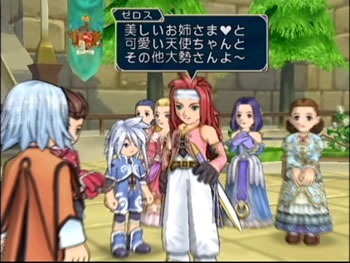 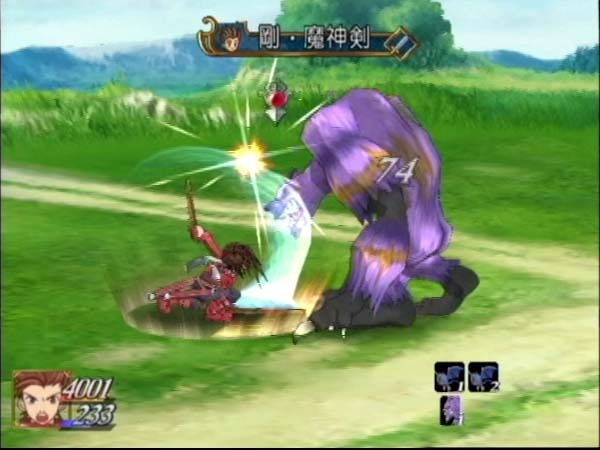 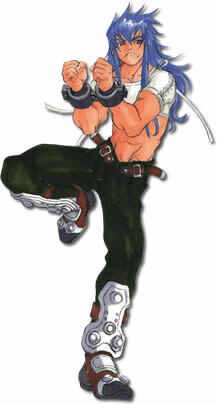 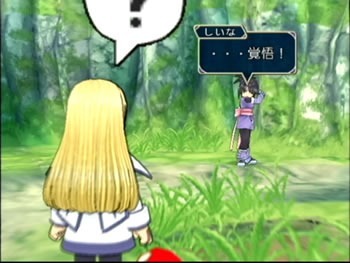 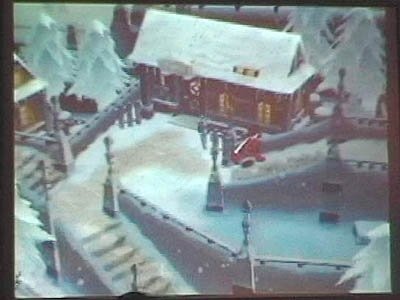 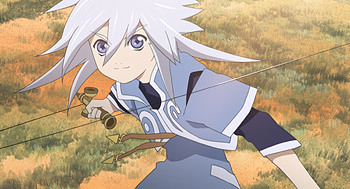 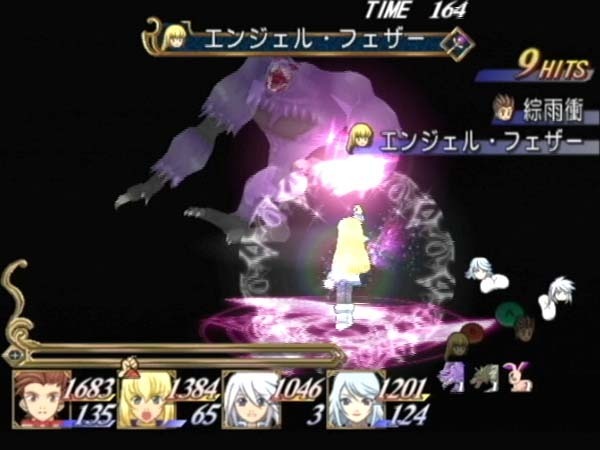 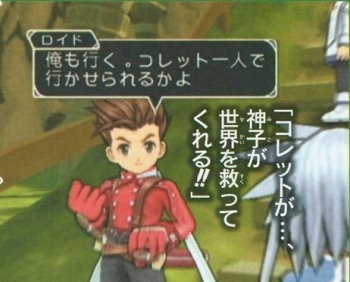 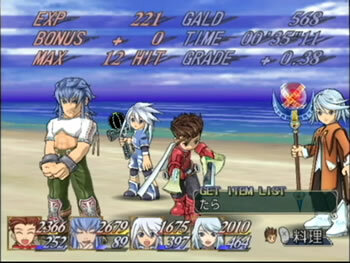 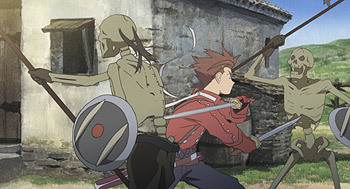 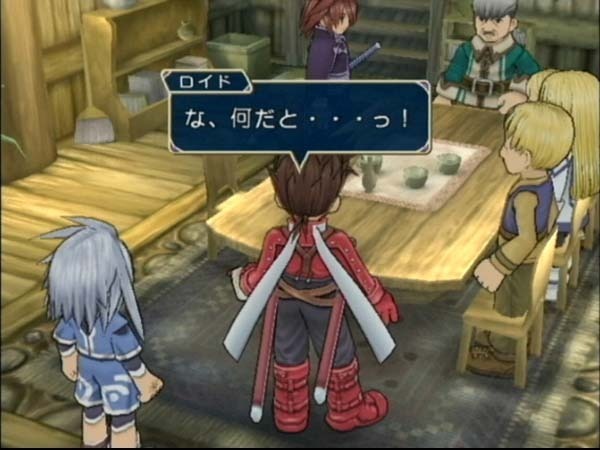 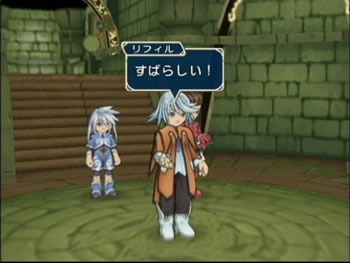 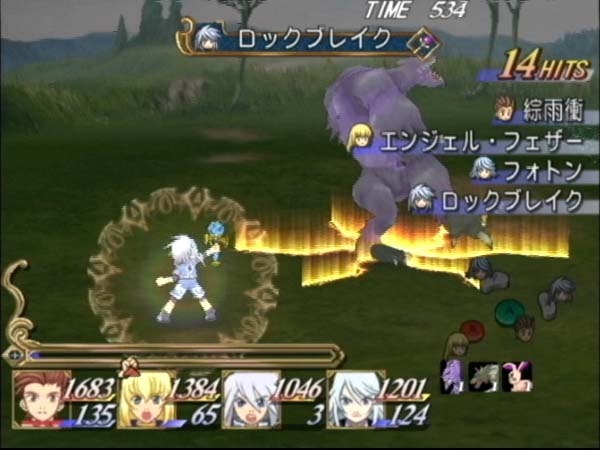 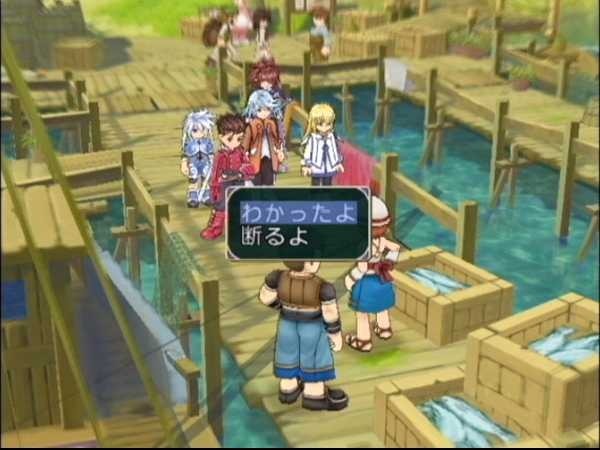 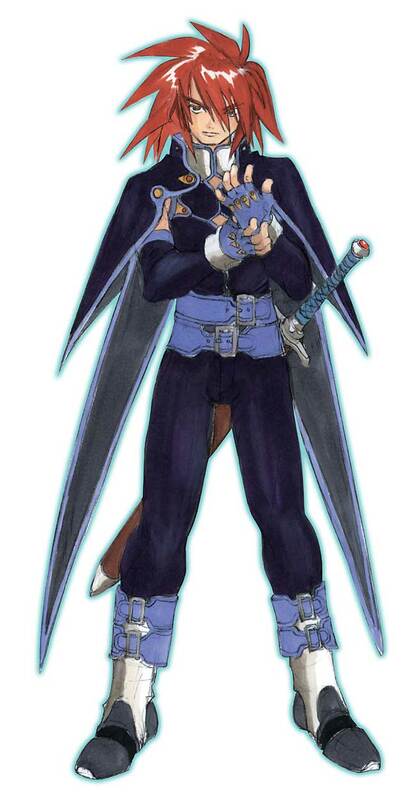 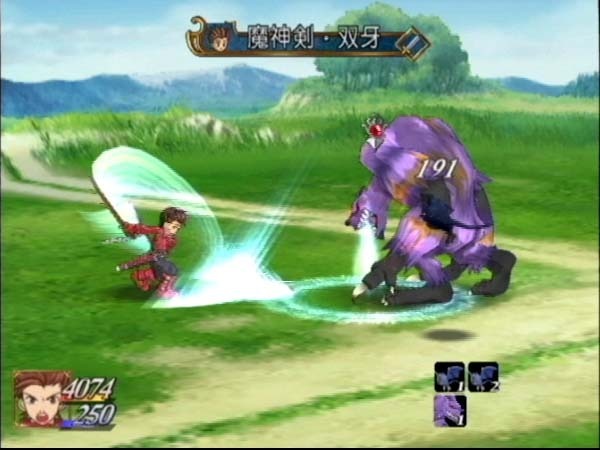 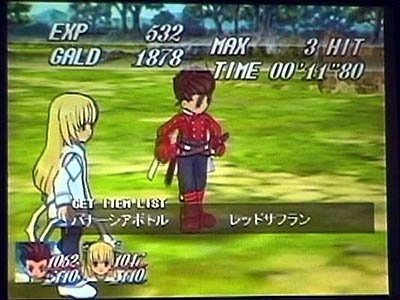 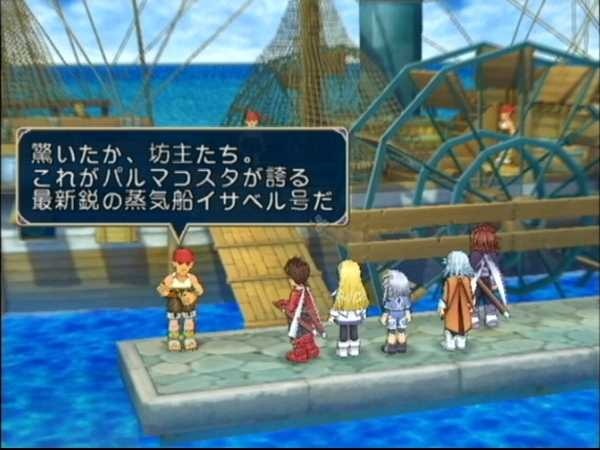 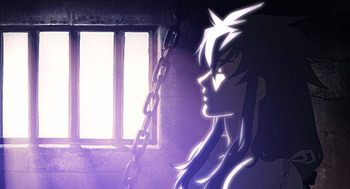 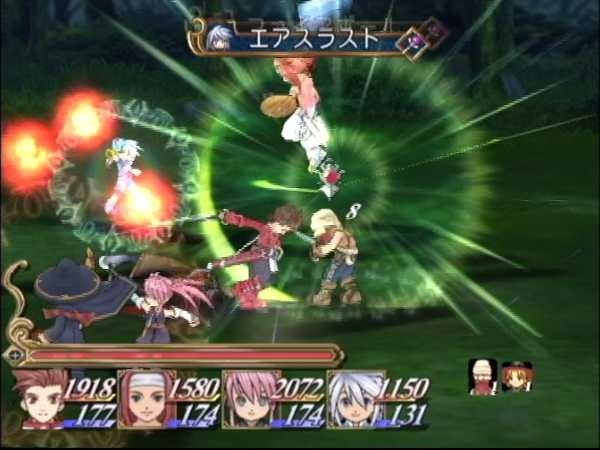 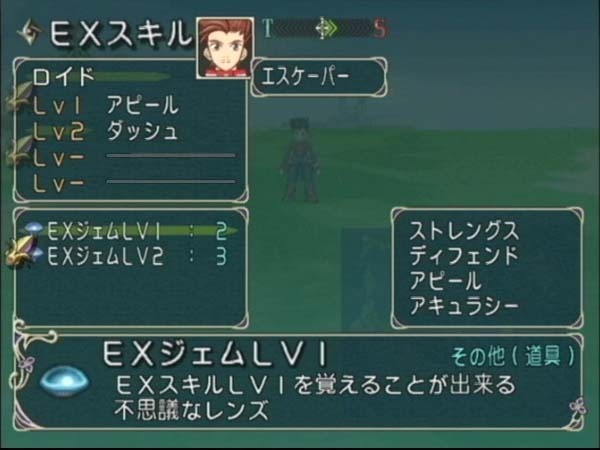 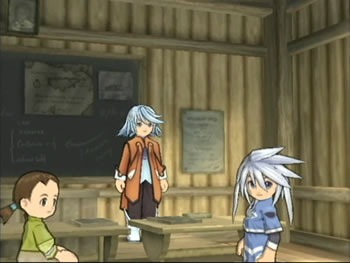 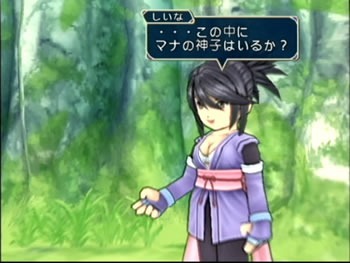 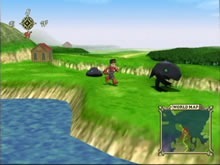 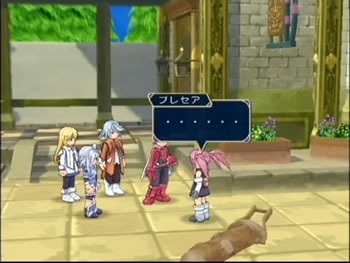 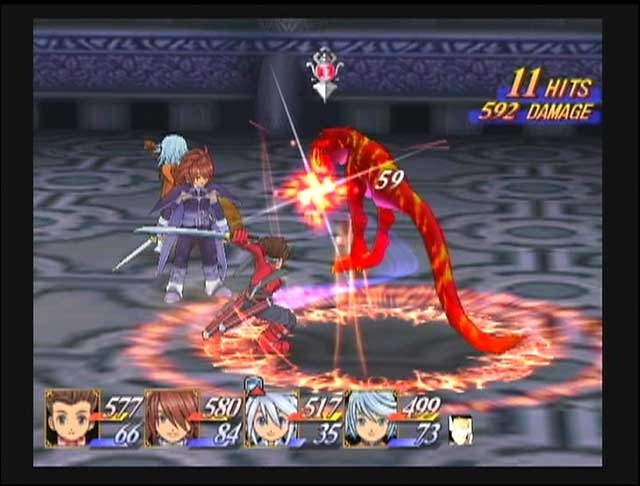 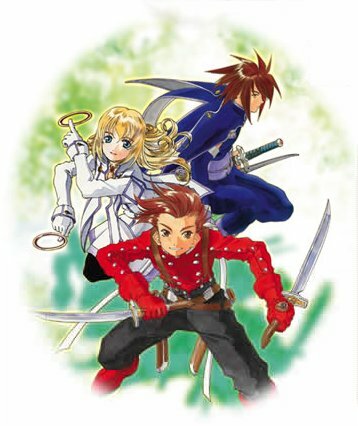 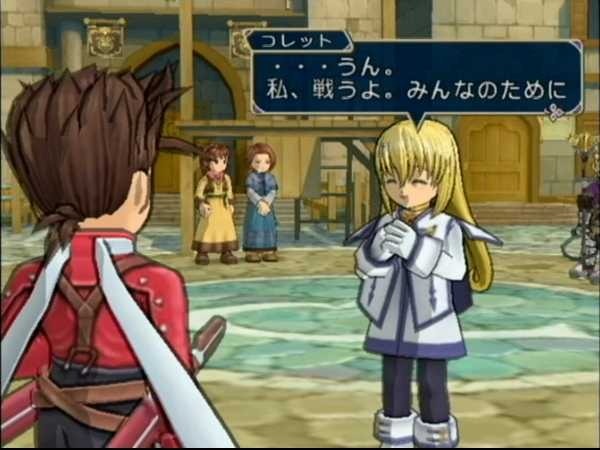 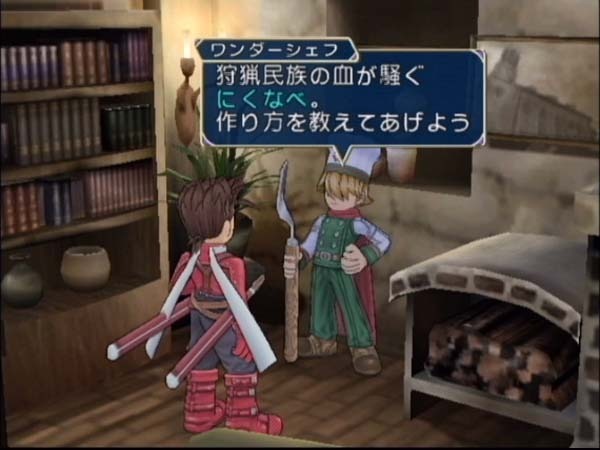 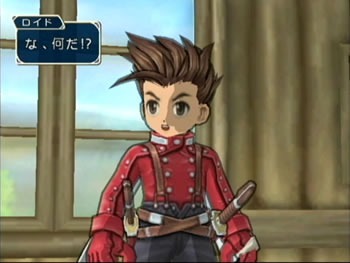 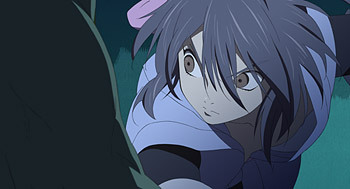 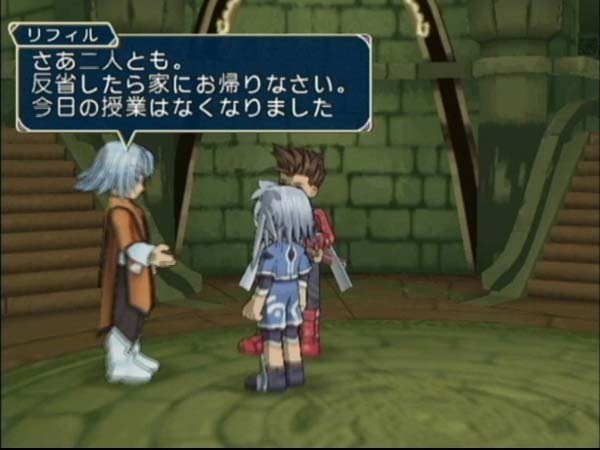 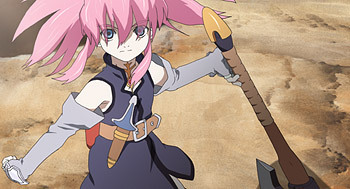 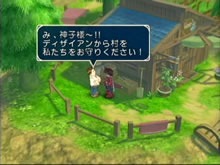 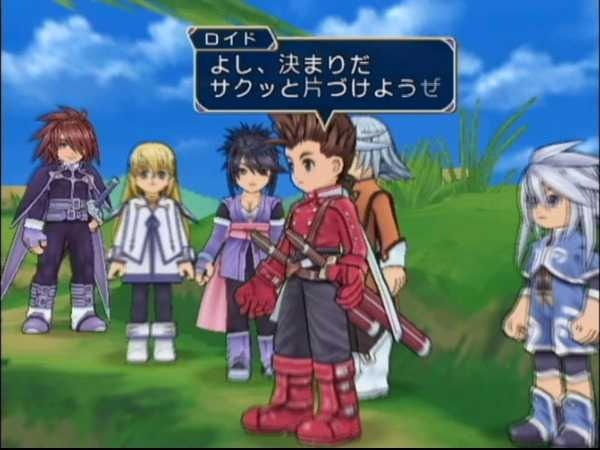 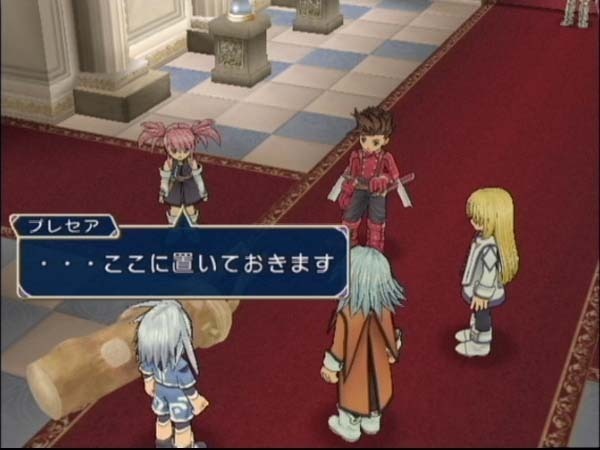 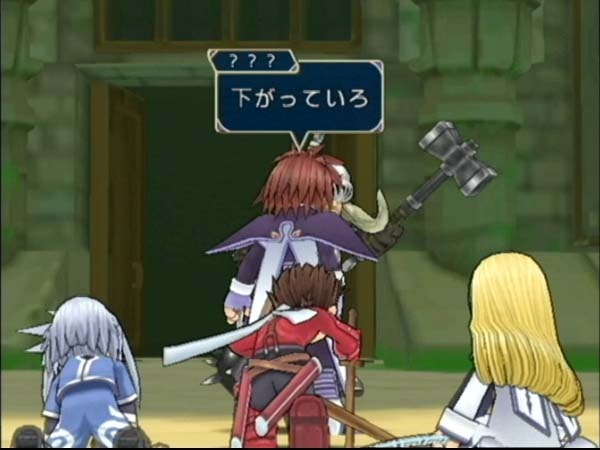 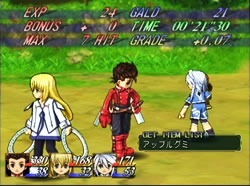 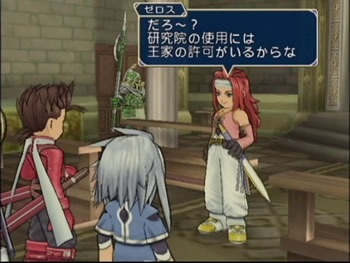 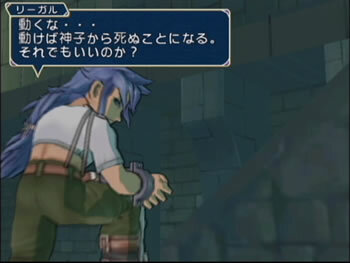 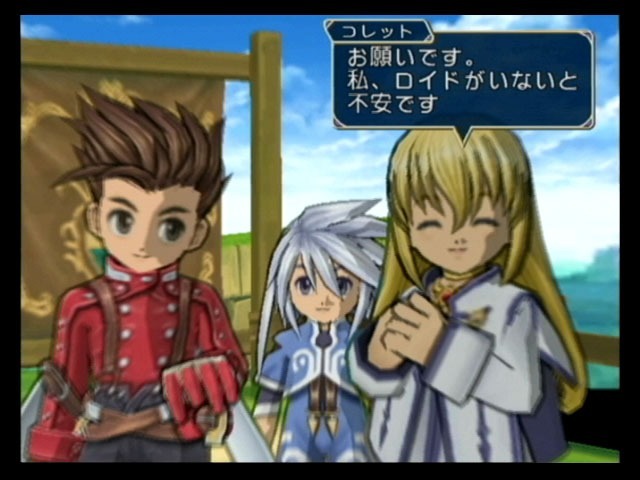 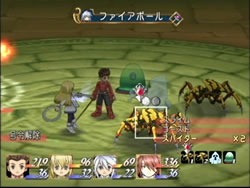 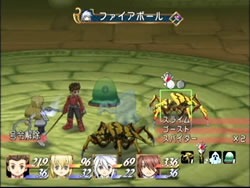 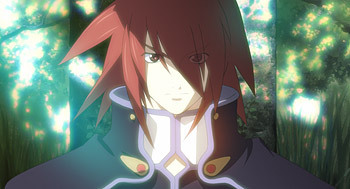 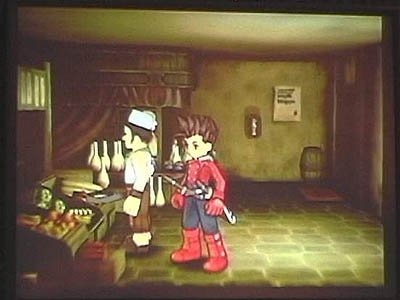 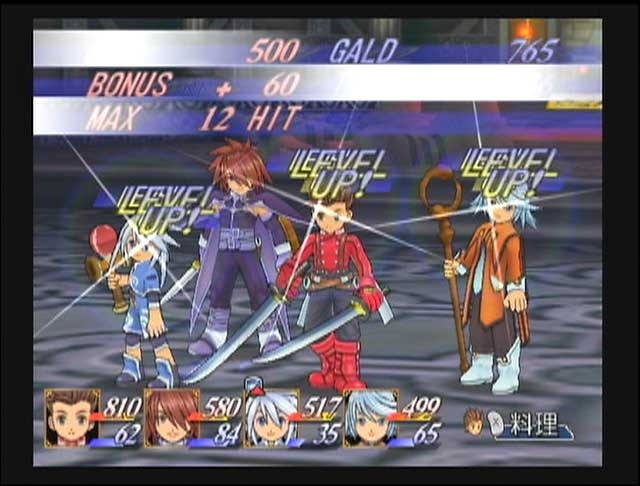 Many game news site refered to this game as Tales of Phantasia, but Namco refered to it as "New Tales of [Tentative]." 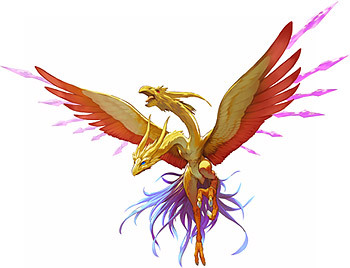 It finally has a name of its own! 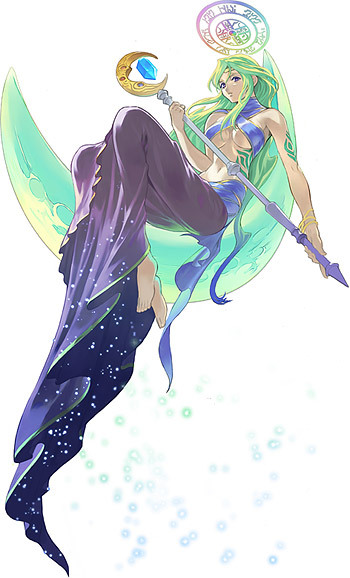 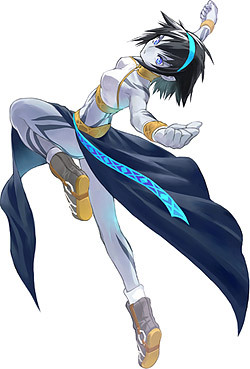 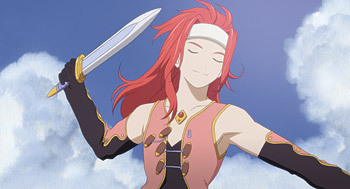 About 4000 years ago, the hero Mithos ended the ancient war in the sanctuary called Kharlan. 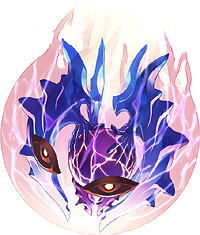 With the help of the goddess Martel, he sealed away the evil Desians and saved the world from suffering. 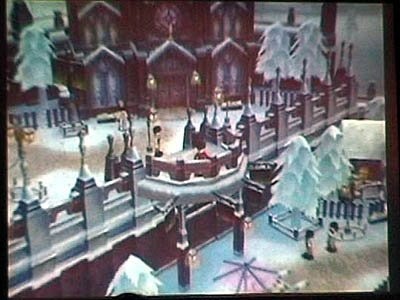 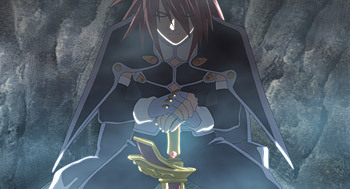 Time flows, however, and today... there is peace, and the world has forgotten the darkness of the Desians. 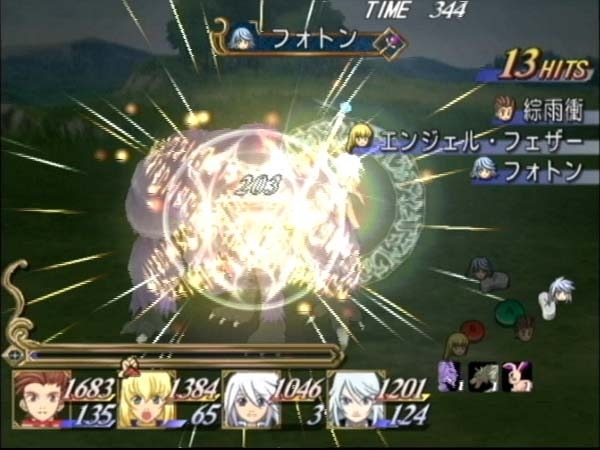 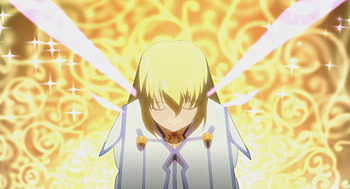 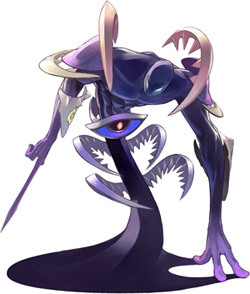 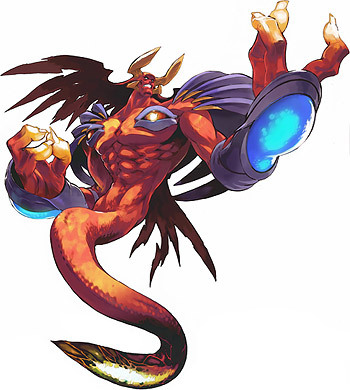 But the wicked beings that Mithos sealed away has been secretly gathering power to revive themselves. 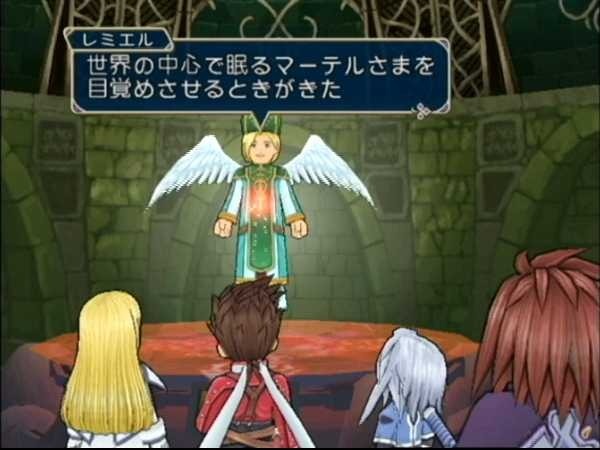 The people wait for the oracle given to them by Martel, the Chosen One who can seal the Desians and liberate them from the pain.... 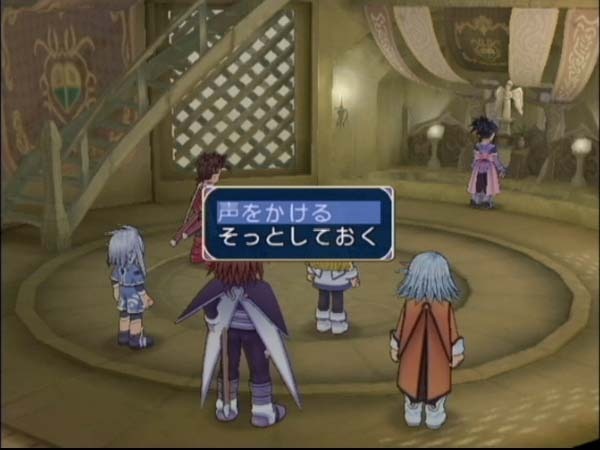 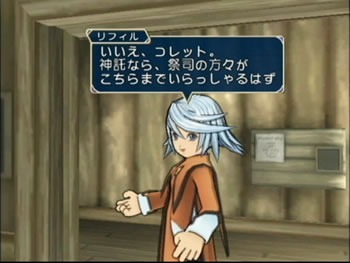 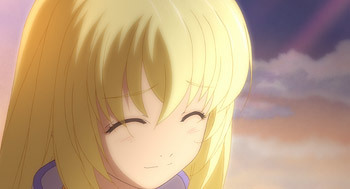 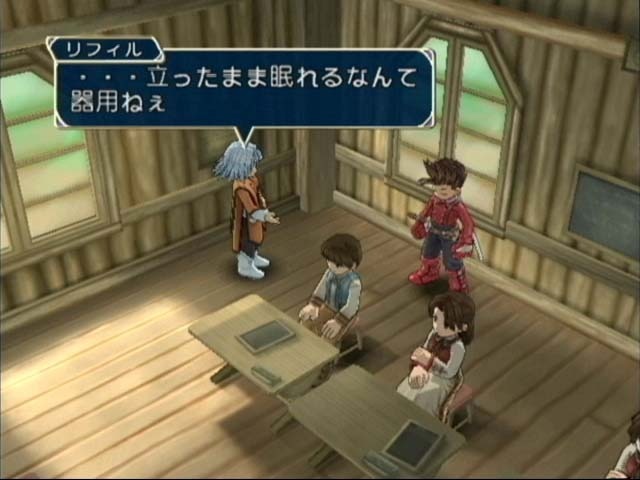 They hope for the oracle of Iselia Village which indicates a young girl. 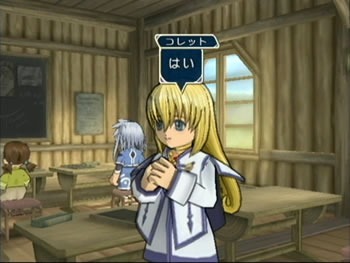 A girl named Colette. 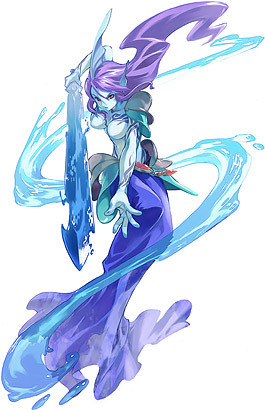 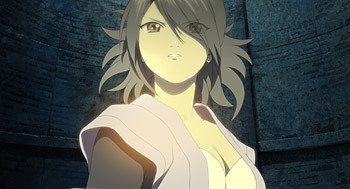 She is the Chosen of Regeneration whose mission is to save a world covered in darkness. 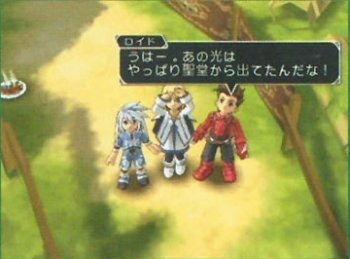 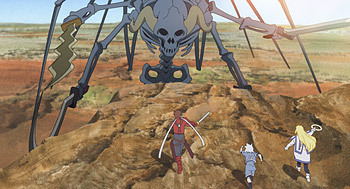 She and her childhood friends are guided by Lloyd, the leader of these nameless heroes. 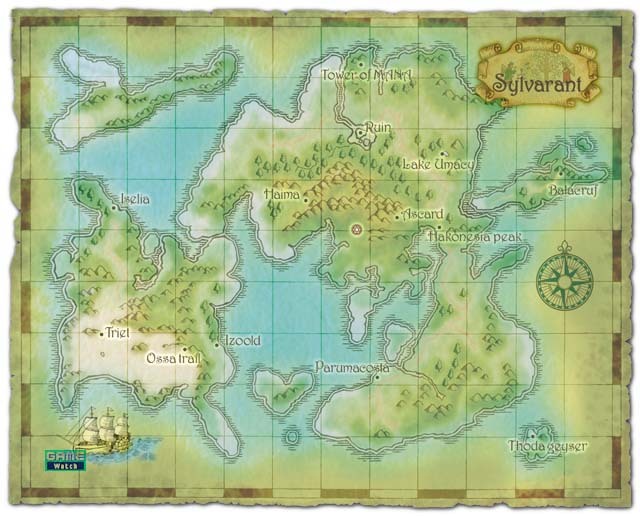 The endless journey of World Rejuvination begins here. 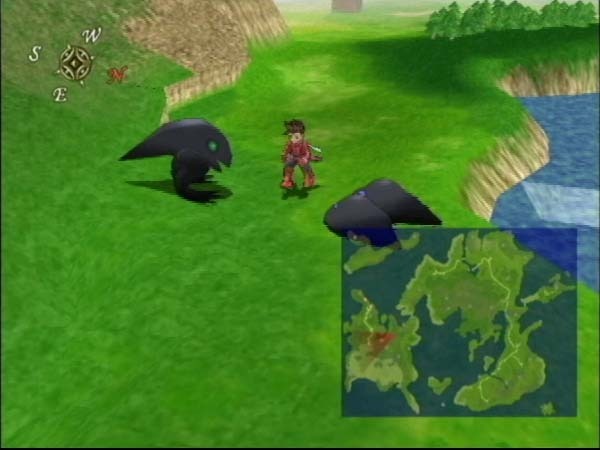 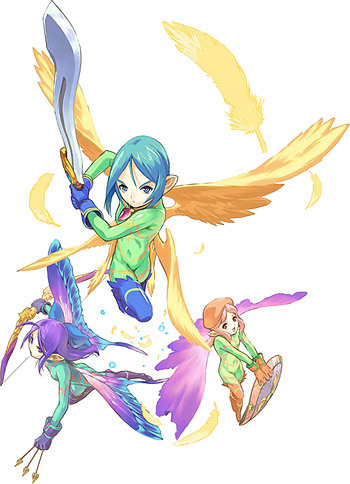 This game is made of polygons and is cell-shaded. 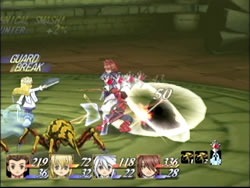 The battle system (Multi-Line Linear Motion Battle System) is the most unique LMB yet. 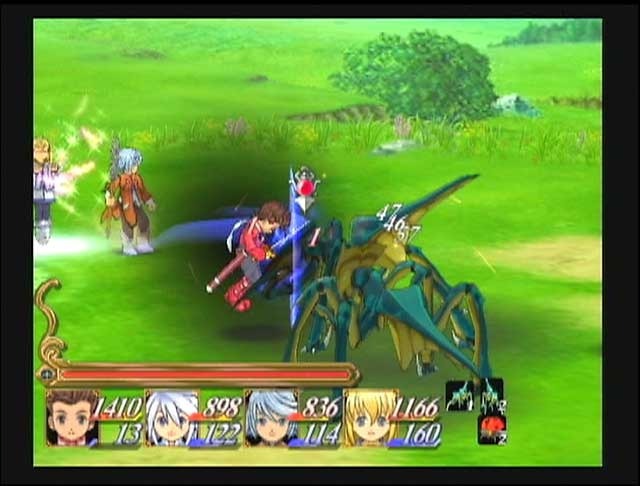 The battles are 3D, but fear not--it's not like Start Ocean or anything. 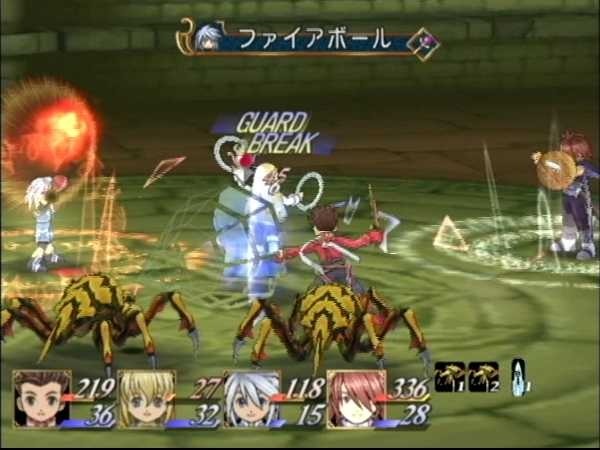 When you target an enemy, a line is formed, and you move back and forth along that line. 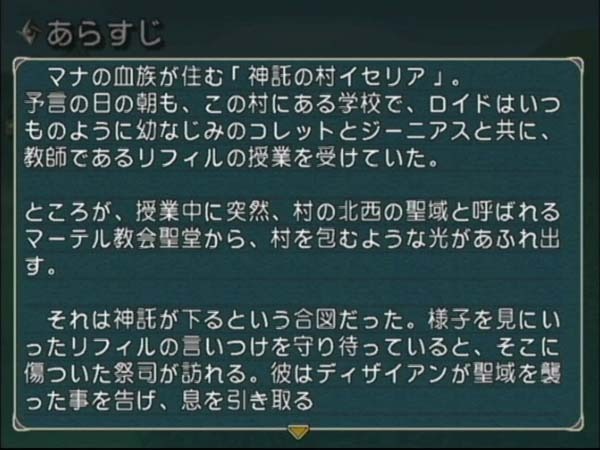 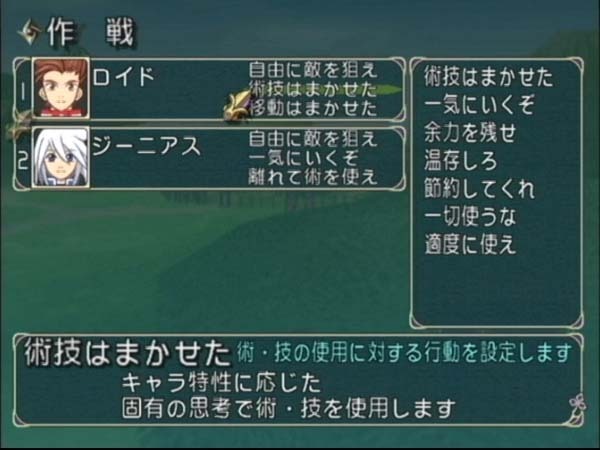 (The name ["Multi-Line Linear Motion Battle System"] is because the battle system is now 3D and there are multiple lines, while with the traditional "LMBS (Linear Motion Battle System)," you and your enemy faced each other one one line.--quote Namco w/ crappy translation.) 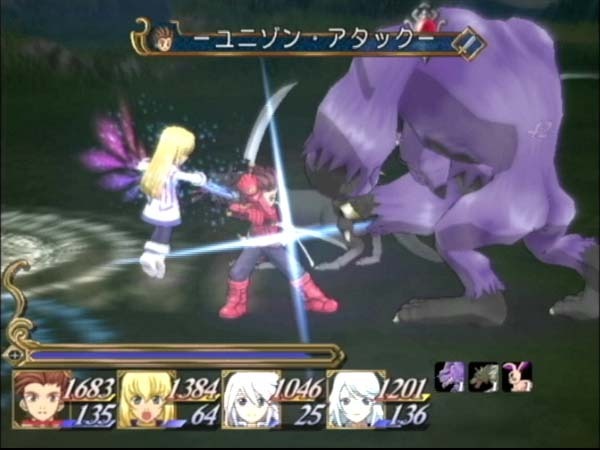 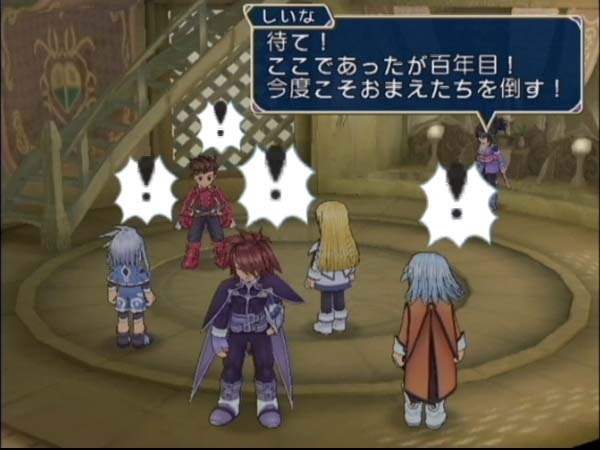 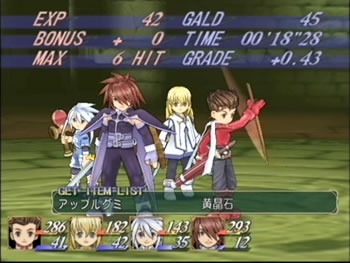 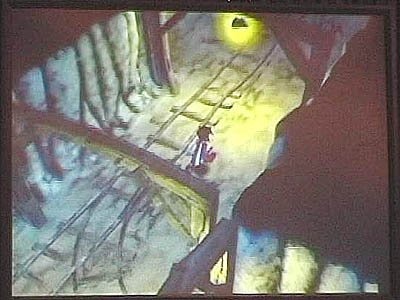 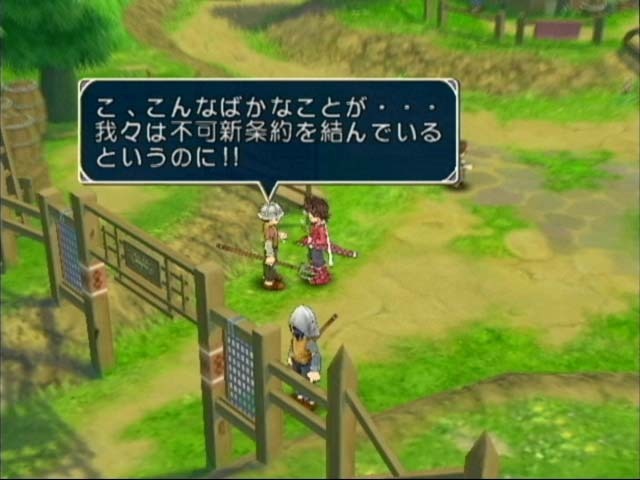 It's the same Tales battle system we know and love--just that there's more lines. 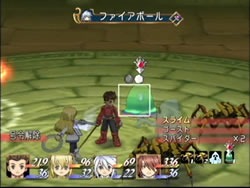 :P Here is an example of Lloyd targeting a slimey thing instead of the spiders. 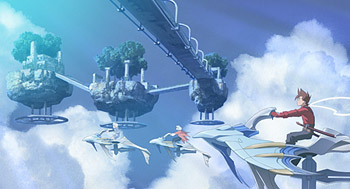 A Japanese group named "Day After Tomorrow" is doing the opening song, which is called "Starry Heavens." 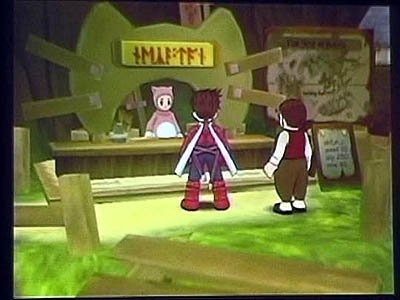 Don't let the name make you think it's a slow song; it's nice and entergetic. 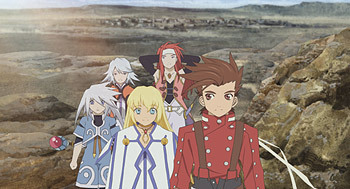 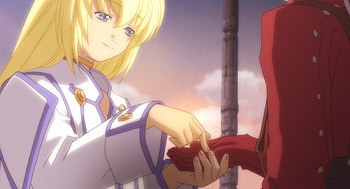 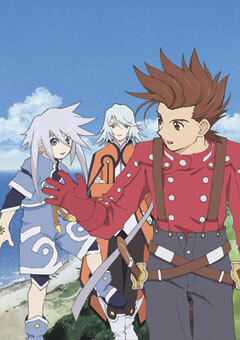 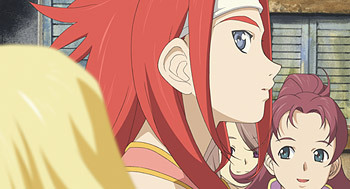 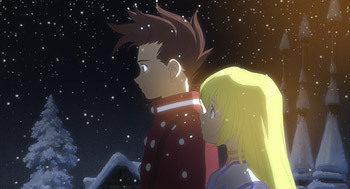 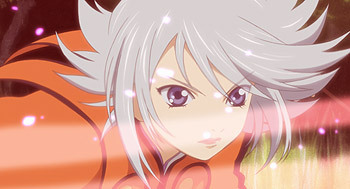 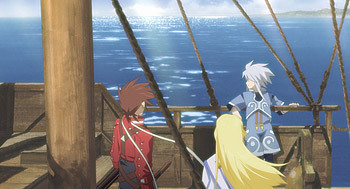 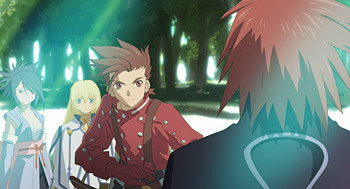 -Cover art of "Tales of Symphonia: Sylvarant Portion"